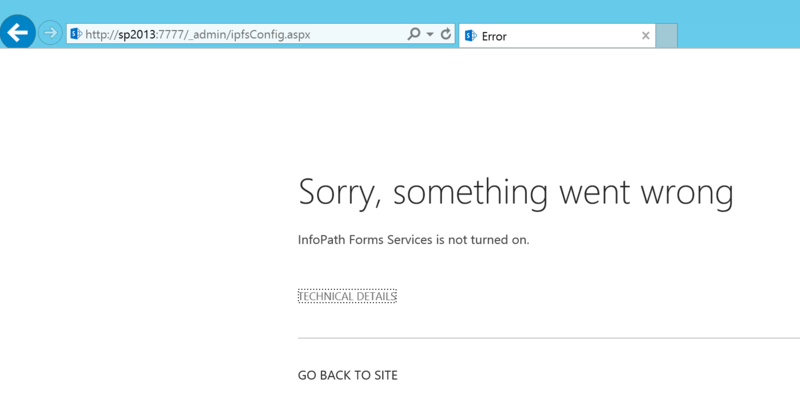 While working on the InfoPath Forms Service DSC Resource for SharePoint DSC, I ran into an issue where I couldn’t get access to the InfoPath Forms Service configuration page in Central Administration (General Application Settings > Configure InfoPath Forms Services). Every time I would click that link, I would get presented with a SharePoint error page with the message InfoPath Forms Services is not turned on. (see screenshot below). This was happening for both SharePoint 2013 and 2016. We can see from the picture above, that I had renamed my InfoPath Forms Service to have the name “My InfoPath Forms Service“, which is what was causing my issue. 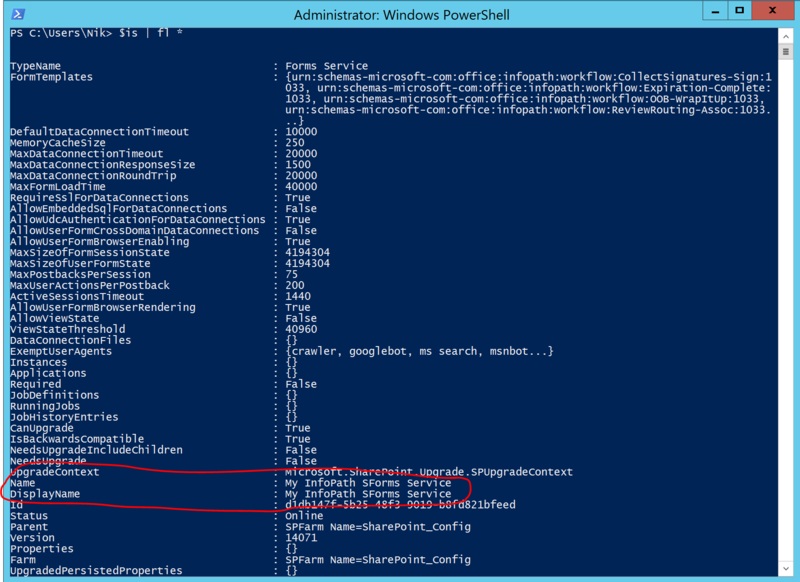 Luckily for me, I still had a variable reference to my service instance in the current PowerShell session (in my case, a variable named $is). 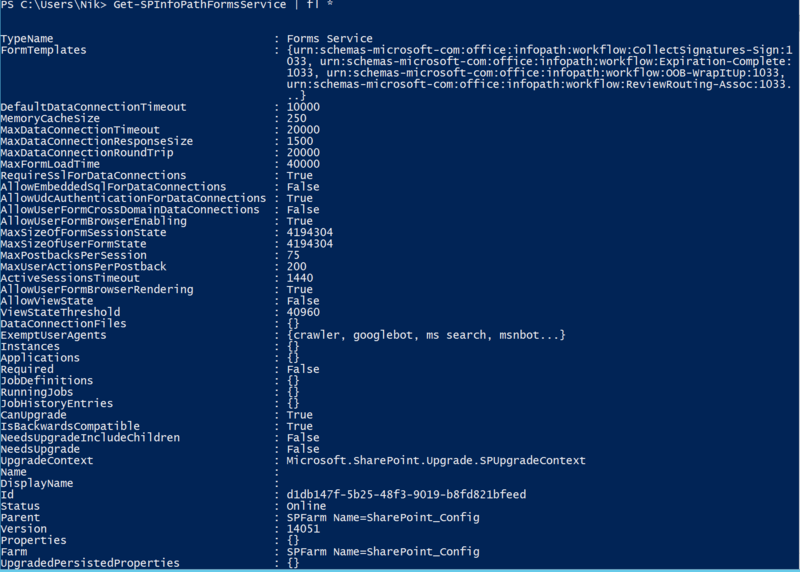 Running the following PowerShell lines emptied back the Name property of the service instance, and the InfoPath Forms Service automatically went back online. 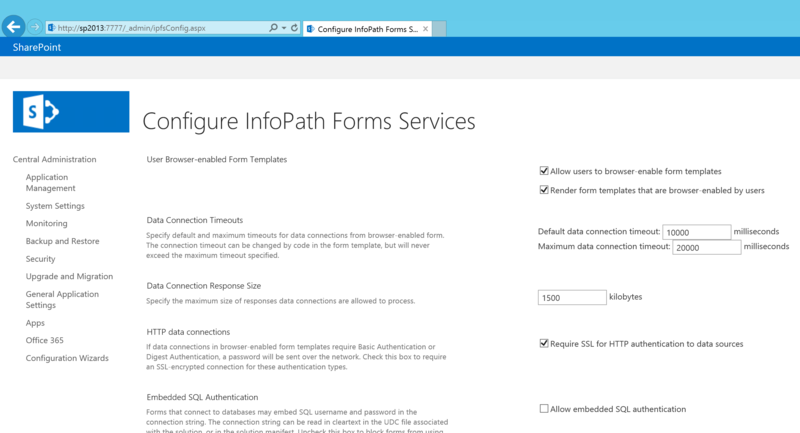 After running the above lines of code, I was able to go back in Central Administration and access my InfoPath Forms Service configuration page as normal.